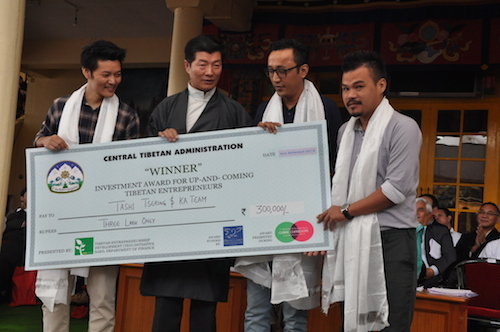 The Department of Finance of the Central Tibetan Administration presented investment awards of a sum of up-to 11 lakhs to four winners of an entrepreneurship competition organised by Tibetan Entrepreneurship Development (TED) from 31 Aug – 1 Sept 2015. Sikyong Dr. Lobsang Sangay presented the awards to the winners during the official ceremony to mark the 55th anniversary of Tibetan democracy day at Tsuklagkhang on 2 September. 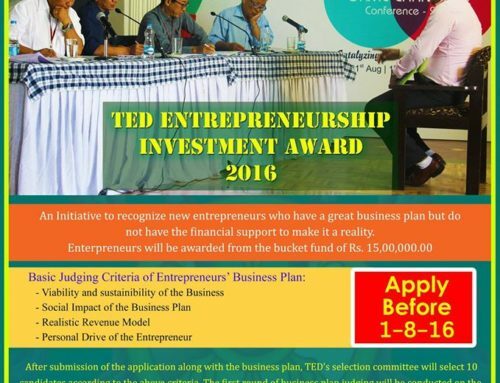 The competition titled ‘Investment Award for Up and Coming Entrepreneurs’ was held to identify new entrepreneurs who have a great business plan but do not have the support to make it a reality. 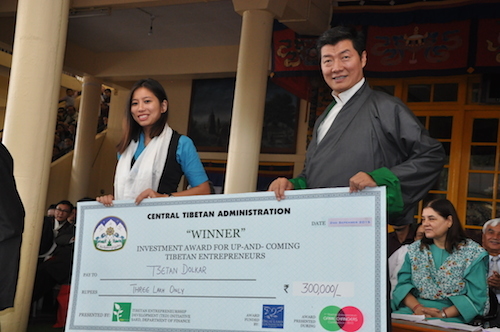 The winners of the investment award was selected through a competitive process that distinguished transformative entrepreneurs who are innovative, driving large-scale change, and are poised to make an even greater impact in the Tibetan community. The jury of the competition include eminent market experts and individuals such as Colonel Jitender Minhas (Chief Executive- JSS-STEP Noida), Mr. Subit Saurav (Investment Associate – Aavishkaar), Mr. Thubten Samdup (Former Representative of Office of Dalai Lama, London), Mr. Chandra Kant (Advisory Board Member and Strategy Consultant) and Former Tibetan parliamentarian Mr. Dorjee Wangdi Dewatsang, (Architech),Mr. Sonam Topgyal, Founder, Sumico Travel and Momo King, and Mr. Kesang Norbu, Sambhota High School. 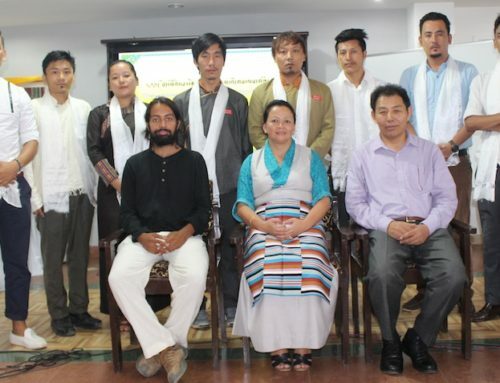 Announcements of the winners were made by the jury on the final day of the conference and the formal announcement was made at the democracy day celebrations at Tsuglakhang. 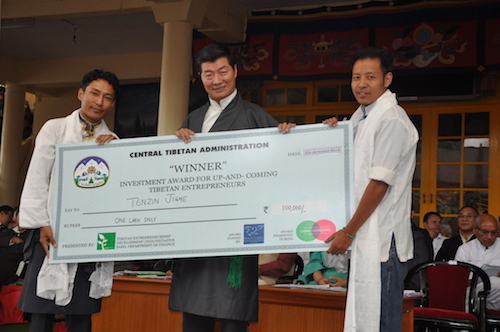 The four winning enterprises selected by the jury were Tendrel Travels, Tibetan iTech, KA and Tibetan Physiotherapy Clinic. They were provided with Rs four, three, three and one lakh investment awards respectively. Tendrel Travel is a tours and travel agency founded by Mr. Gyalpo Tashi. He hails from a family of cross-border nomadic traders of salt and wool. Since 2004, Gyalpo has been providing designed and guided Tibetan walking tours, specialising in cultural and spiritual walking tours of Tibetan community in Ladakh. In 2010, Tendrel Travel was incorporated in Ladhak and has been providing spiritual tours in and around India. The company wants to scale up its operations with the investment award. Tibetan iTech is a web designing firm founded by Ms. Tsetan Dolkar, a native of Dharamshala. She has a diploma in web designing and web development. She started her IT career in the year 2007 and has since been working in different IT roles in different organisations. She started Tibetan iTech as a web development firm and is now looking at building a marketplace for all Tibetan products online. KA is a firm for App Development. Started by Tashi Tsering and his team, KA is into app development. It has an in-house product called Tibetan Kid, which helps children, as well as anyone else interested to learn the Tibetan language via games, animation, etc. Tibetan Physiotherapy Clinic is a clinic started by Tenzin Jigme. 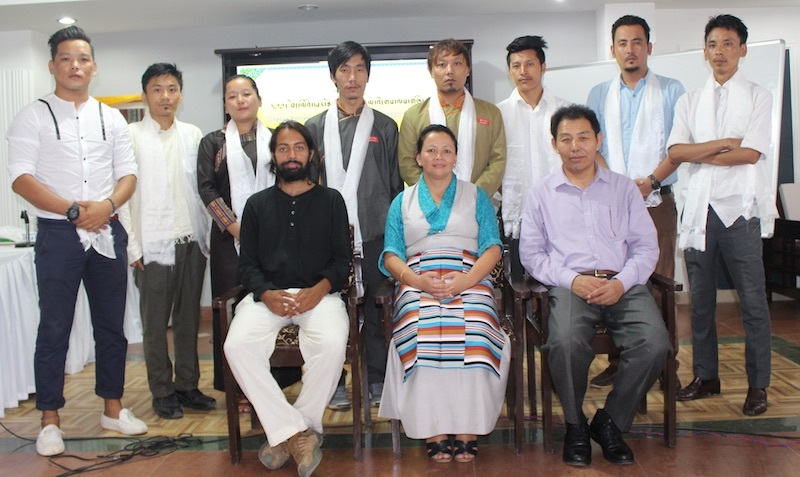 A graduate in Musculoskeletal Disorder and Sport Rehab (MPT), Tenzin Jigme has started a ‘pain-free Tibetan physiotherapy clinic’ along with cofounder Penchen Sangpo, who is a BPT graduate. Located at Gangchen Kyishongin, Dharamsala, the clinic attracts at least 250 patients per month. The cofounders foresee more demand once they start their awareness campaign about physiotherapy in the Tibetan settlements. 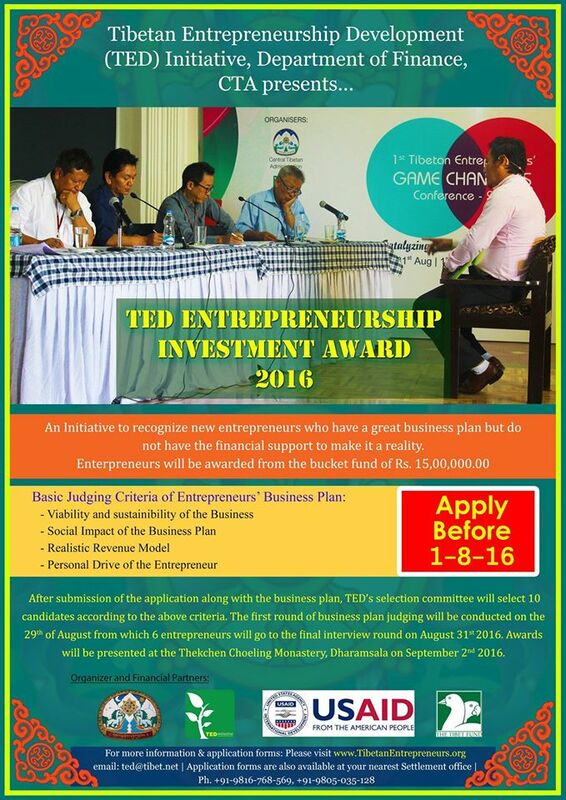 TED is an initiative of the Central Tibetan Administration (CTA) to mobilize and amplify Tibetan entrepreneurial spirit by fostering, nurturing, accelerating value-add connections and celebrating entrepreneurship. TED is affecting a profound transformation of the Tibetan community in-exile with its role as a mobilizer of the Tibetan entrepreneurial spirit to partake in global opportunities and contribute to the community’s economic well-being.